The Comfort H/S™ Bite Splint helps alleviate the effects of bruxing. 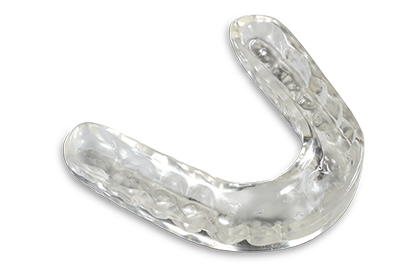 An inner layer of soft polyurethane rests against the teeth and gums, making the splint very comfortable. An outer layer of hard copolyester makes the splint durable.